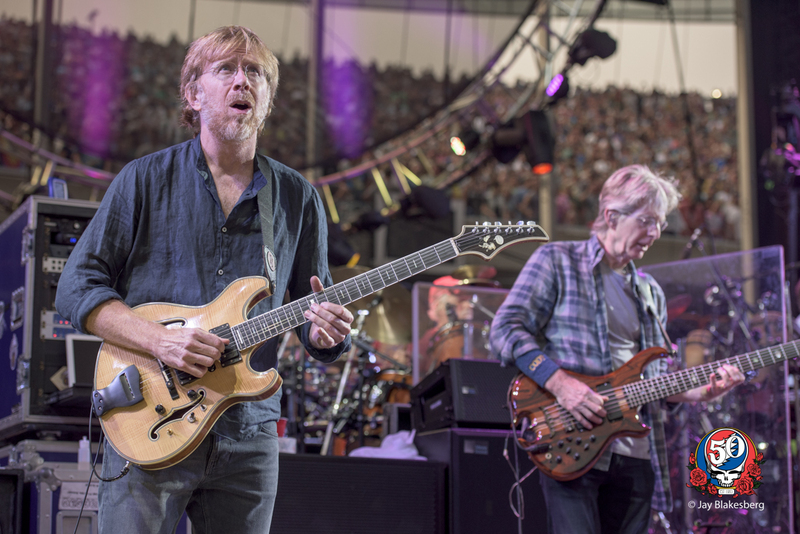 In honor of Jerry Garcia’s 75th birthday, I present this extensive, exclusive article on the Watkins Glen Summer Jam, at the time the largest concert ever. What an event. 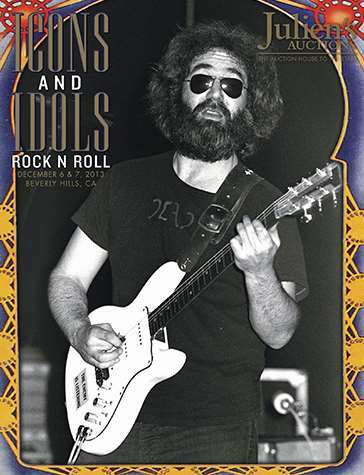 This story ran in a Grateful Dead one shot I wrote and edited for Parade along with the great GD historian Blair Jackson. We did great work and it was under-seen. I am trying to figure out how to get this out to more people. 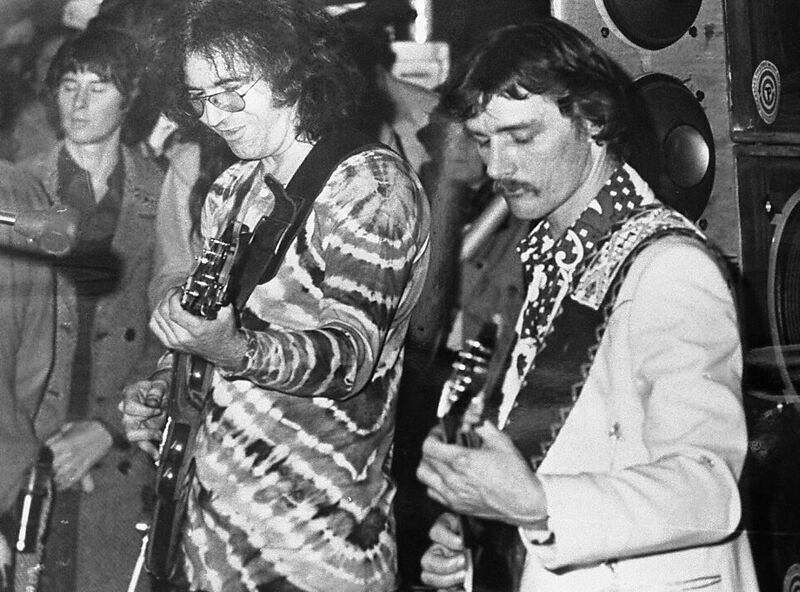 The Allmans were one of the first major groups to adopt the Dead’s two-drummer format in the late ’60s, and the Allman’s famous “Mountain Jam,” based on the melody of Donovan’s “There Is A Mountain,” first appeared as a brief musical quotation on the Dead’s trippy Anthem of the Sun in 1968, an album the Allmans knew well. 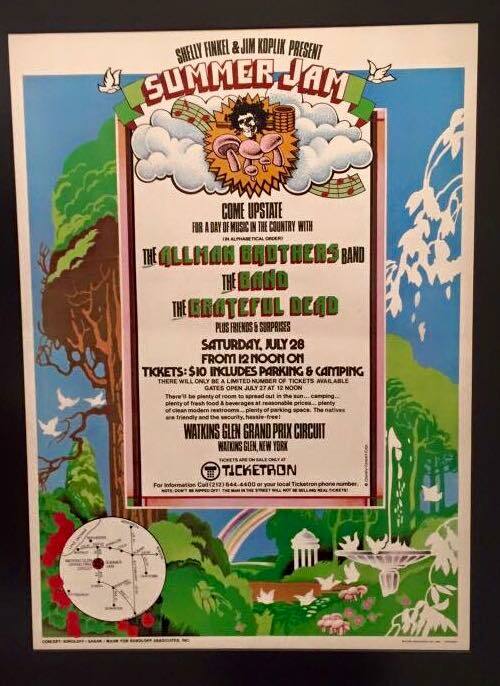 The two bands first crossed paths in the summer of 1969 when they played for free in Atlanta’s Piedmont Park. The Dead, already well-established hippie heroes, arrived after the Allman Brothers, whose debut had not yet come out, had played, but they met and socialized. The ABB’s Duane Allman, Dickey Betts and Berry Oakley were particular fans of the Dead, a respect that was often returned by Jerry Garcia and the rest of the band. Duane and Jerry often expressed admiration for one another’s each other’s work, and a friendship was budding. Duane even popped into a Boston radio station on November 21, 1970, when Weir and Garcia were performing acoustically. He picked up a guitar and joined in. Six months later, during the Dead’s final week of shows at the Fillmore East, Duane turned up for the April 26, 1971 and added his distinctive sound to three tunes. 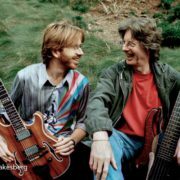 “We developed a close relationship with Duane that unfortunately never had the time to blossom because he was gone so soon,” says Weir. Following Allman’s death in October 1971, the two bands finally planned a few joint shows together, which Dead crew member Steve Parish described as “trying to support our friends” during a difficult transition. The performances were scuttled when Oakley died the night before the first scheduled show, in Houston. By the time the bands finally played together again, on June 9 and 10, 1973, they had both grown so popular that they co-headlined Washington DC’s RFK Stadium, alternating opening and closing slots. On July 28, they topped two nights at a stadium with the Watkins Glen Summer Jam. 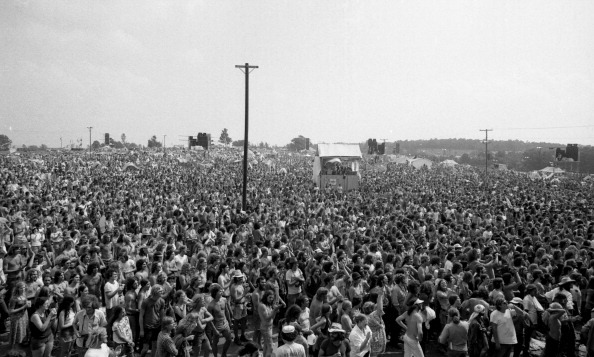 The one-day festival was planned by the Dead’s Sam Cutler and the Allman Brothers Band’s Bunky Odom. They agreed together to invite The Band to open the day’s music. The concert was planned for the Grand Prix speedway in the remote hamlet of Watkins Glen, New York. The concert was produced by two young promoters Jim Koplik and Shelley Finkel, who paid the Dead and Allman Brothers $110,000 each. One hundred and fifty thousand tickets were sold for $10, but the crowd exploded to many times that number. The rest got in for free, though many of the masses certainly never got within sight of the stage. The small country roads leading to the concert site became parking lots – first figuratively, then literally, as many people abandoned their vehicles and walked miles to the concert. The bands were staying 18 miles away in a small motel in Horsesheads, New York. The day before the festival they were supposed to soundcheck but the roadways were completely blocked by people abandoning their vehicles in the standstill traffic and walking to the raceway grounds. It was obvious that the band and crew would not be driving to the concert ground. Helicopters were summoned and as they drew close, the passengers asked the pilot to circle the site. 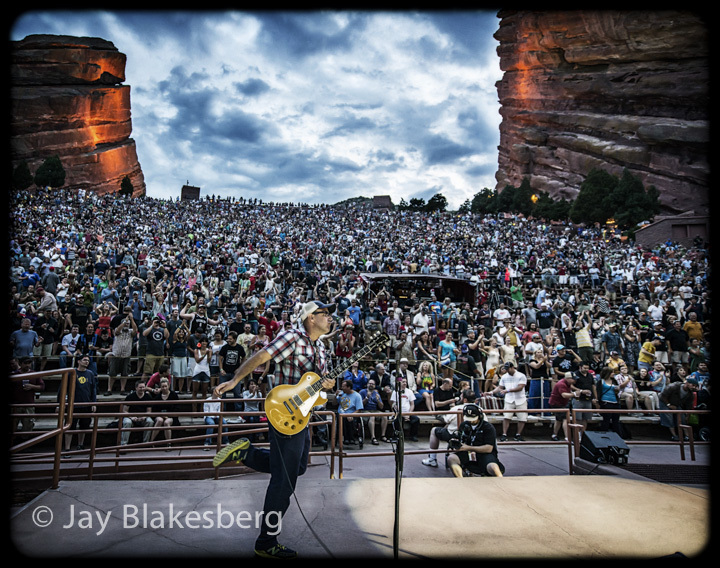 With crowds pouring in and an estimated 200,000 people already on site, the July 27 soundchecks became public performances. The Band did about 45 minutes. The Allman Brothers pushed close to two hours, and the Dead did an almost-complete show. The one-day festival had organically doubled in length. 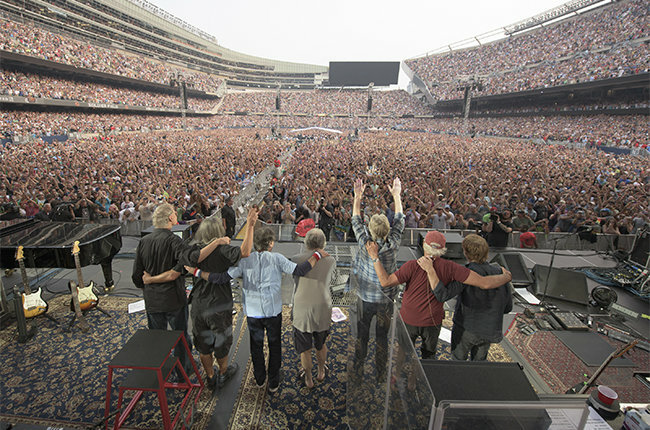 At Cutler’s insistence, the promoters had hired Bill Graham, a key figure to both the Dead and Allman Brothers, to handle the staging and backstage area. Graham had taken his usual care in constructing a welcoming backstage area, which Perkins recalls as “idyllic.” Palm trees were brought in and most band members had their own trailers, traipsing in and out of one another’s spaces, with endlessly mutating jam and hangout sessions. Leavell, Kreutzmann, Garcia and Jaimoe seemed to particularly enjoy playing with one another. In his memoir, Deal , Kreutzmann writes that his best memories of the Summer Jam was playing with Jaimoe backstage. Each of the band’s performed long sets. The Dead opened and were followed by The Band, who had not played together in a year. Their performance was interrupted by a thunderstorm before the Allman Brothers closed out the day with a four-hour performance capped by an all-band jam. Legend and the band’s own deprecatory comments have it that as with Monterey Pop in 1967 and Woodstock in ‘69, the Dead’s performance was limp. While the show was never officially released, widely circulated recordings indicate it was stronger than the band itself recalled. Still, most Deadheads swear that the soundcheck performance was more powerful. 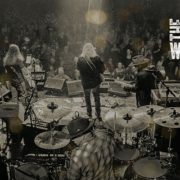 Five months after the landmark concert, the Allman Brothers played the Cow Palace in San Francisco on New Year’s Eve, in a performance nationally broadcast on radio. The Dead were off that night, and Garcia and Bill Kreutzmann sat in for much of the second set and encore, with Kreutzmann taking over for Trucks, who was dosed with LSD and unable to continue playing. The friendships between the two titans of the jam rock world seemed to be growing, but they would never again share a bill.